424 Sq.Ft. 428 Sq.Ft. 525 Sq.Ft. 529 Sq.Ft. 629 Sq.Ft. 100 Sq.Ft. 100 Sq.Ft. 100 Sq.Ft. 63 Sq.Ft. 100 Sq.Ft. 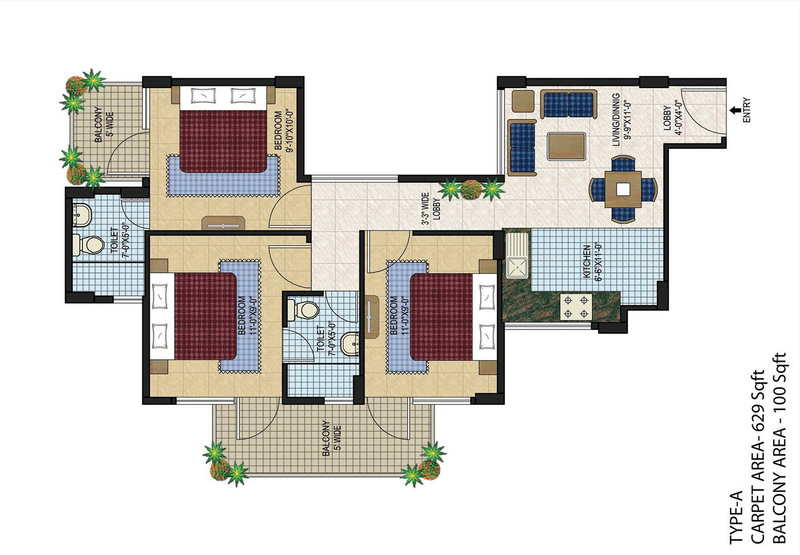 Aagman one of the latest affordable residential projects launched by Agrasain Spaces located at sector-70 in Greater Faridabad.The project spreads across 5 acres of land along with lush green surrounding and landscaped. 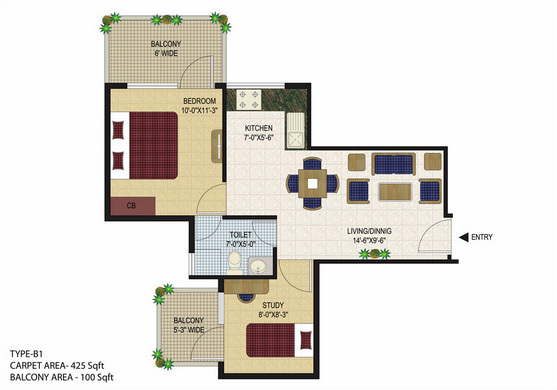 The project comes with 1 Bhk + Study (Type 1), 1 Bhk + Study (Type 2), 2 Bhk (Type A) 2 Bhk (Type B), 3 Bhk respectively. The area sizes come up in the range of 525 sq. 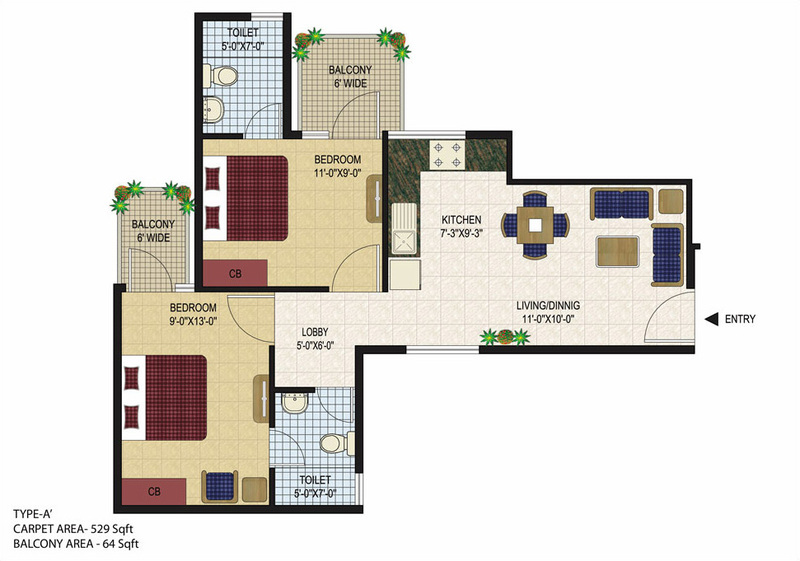 ft., 528 sq.ft., 593 sq.ft., 625 sq.ft.and 729 sq.ft. respectively. The possession of the project will be handed over in the year 2019. When it comes to modern-day amenities, the project possesses various modern-day amenities such as badminton court, jogging and walking track, multi-purpose hall, tennis court, pool table, table tennis, yoga room, ample parking space, café, 2 tier security, round the clock security, 24 hours water supply. When it comes to location benefits, the project is located next to 1868 acres IMT. 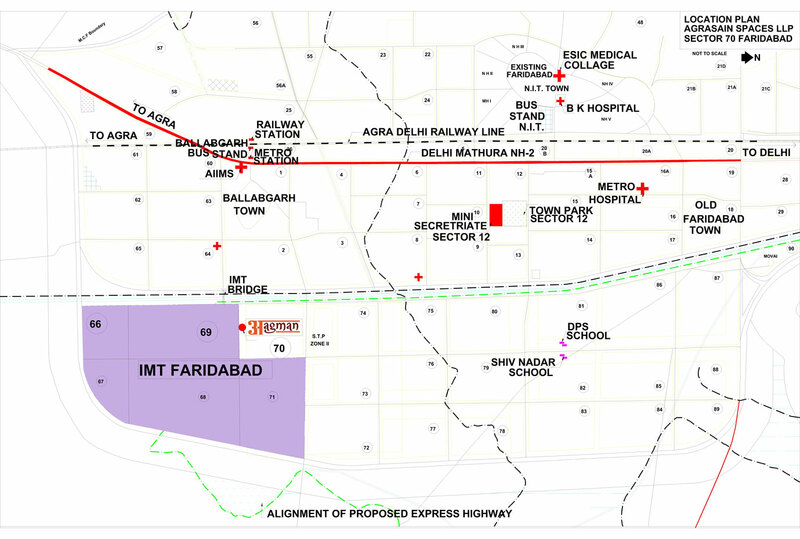 Some existing sectors like 2, 63 and 64 are located 500 meters away from the project’s location. More, you will have close vicinity to famous schools, collages, hospitals, shopping malls are located within close proximity to the project’s location. 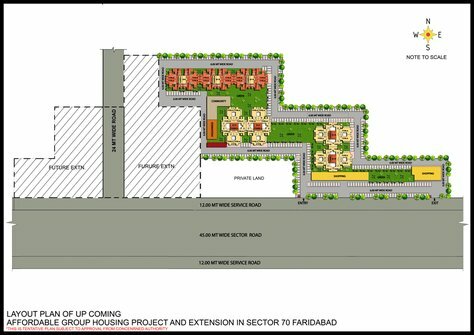 The project is located on 45 meter wide sector road. 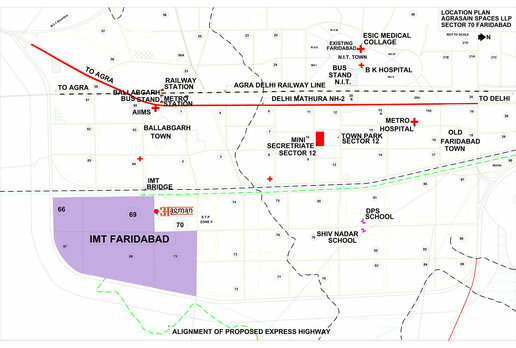 By-pass road is situated just 500 meters away from the project’s location. Apart from all this, you will find malls, dining and entertainment malls are located within close vicinity to the project’s location. 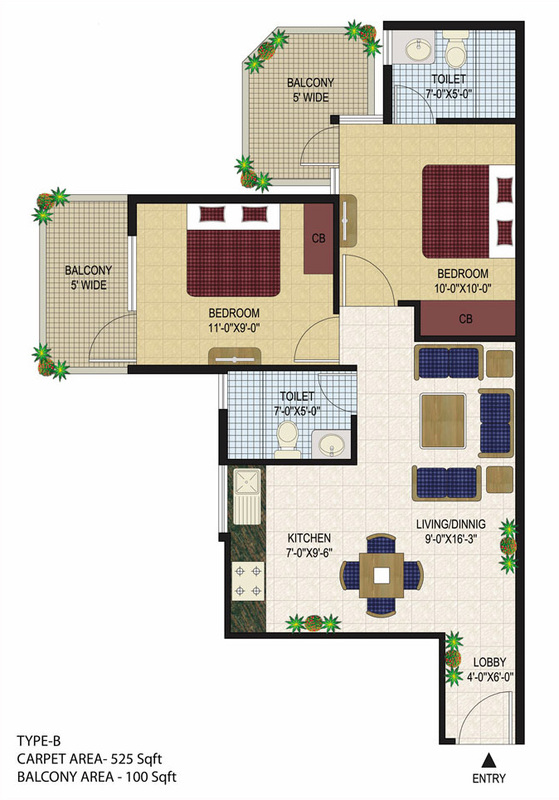 Thus, the project offers all the basic and luxurious amenities. Real estate demand in Faridabad city has been increased since last decade because of the fast pace development in the city. About a decade’s back, Faridabad city has been well-known with the name of industrial hub because there has been huge industry in the city. Now, the picture of Faridabad city has been changed completely because the city has got a modern-day look with the huge developments in the city like development of Greater Faridabad which is a hub of modern-day group housing society, development of metro rail service that connects the city with Delhi. Then there are improvements in high-ways, flyovers, lavish shopping malls, complexes etc. Apart from this, main attraction of the city is its close proximity to prominent cities like Delhi, Gurgaon, Noida, Sohna, Manesar. These all cities are well-established cities where residents can get maximum living advantages. Gurgaon and Noida is a hub of corporate sector. These cities possess multinational companies, top notch companies, corporate parks, IT Parks, shopping malls and many more. Super Area 524 Sq.Ft. 528 Sq.Ft. 625 Sq.Ft. 592 Sq.Ft. 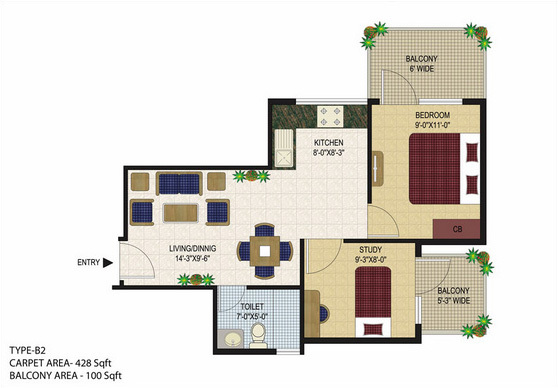 729 Sq.Ft. Copyright © 2017 www.aagmanfaridabad.in All rights reserved.